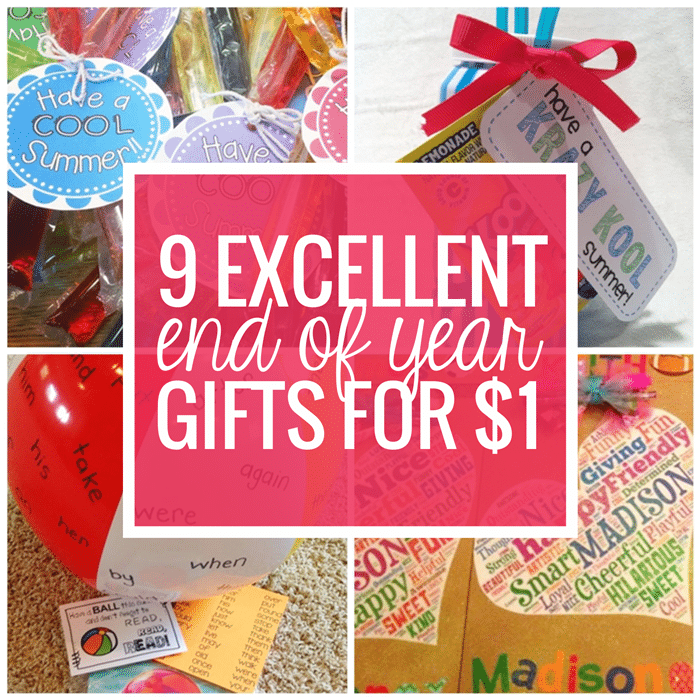 We are in the Back to School mode and I have many FREEBIES to share with you. Some of you have already started school and many more are getting ready for their first day back. There are so many things that we have to do to prepare and organize for that first week of school. Classroom set up is a huge task. Not only do we have to set up the classroom furniture, but we also have to organize our literacy and math centers plus come up with bulletin board ideas. 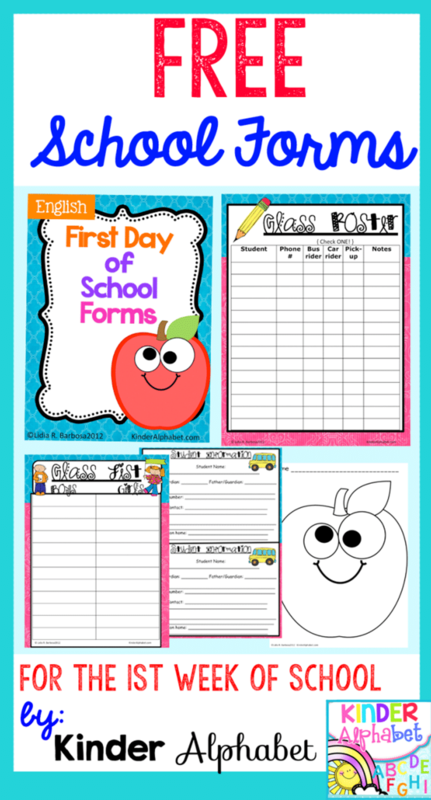 I am going to try to make things a little easier for you by sharing some Back to School freebies that will save you a ton of time when you are doing lesson planning. 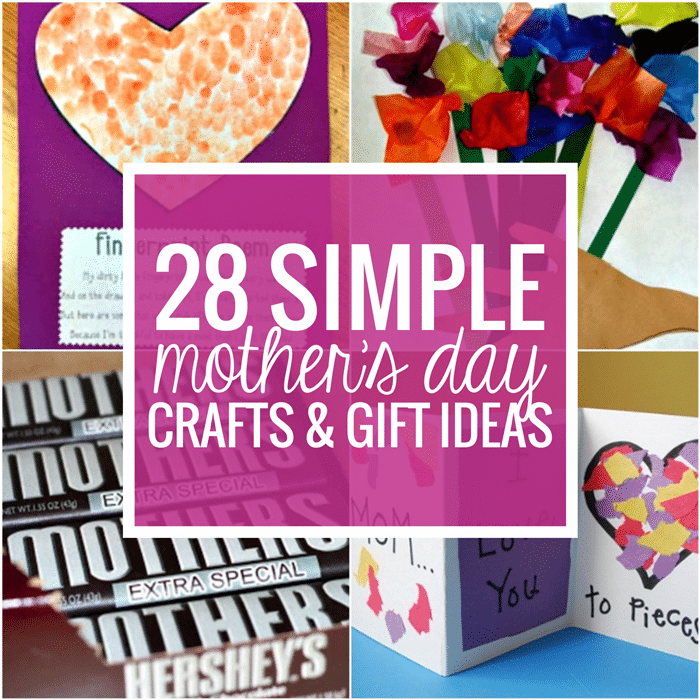 I believe that these are great resources for Pre-K, Kindergarten and even First Grade teachers. 1- Chicka Chicka Boom Boom activities are so much fun throughout the year. This packet includes upper to lower-case matching. They can also be used for sequencing the alphabet on a pocket chart or on the floor. The alphabet mats can be used in a literacy center. 2- Rhyming skills can be a little difficult to master in the early years. 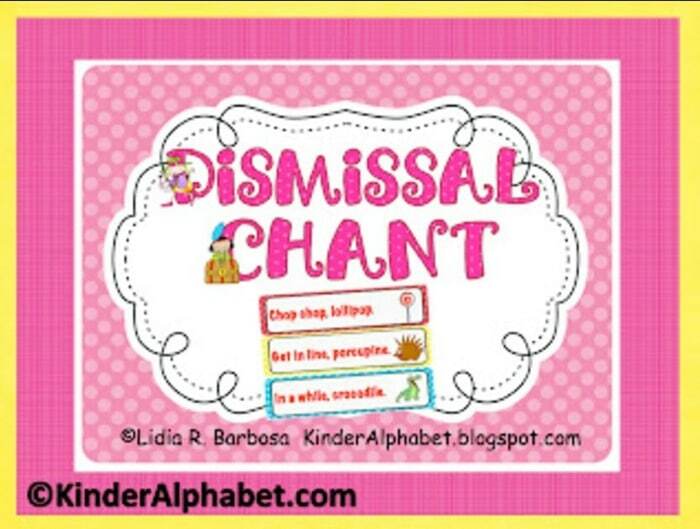 This dismissal chant can be used at the end of the day for daily practice. The kids will have fun playing with words and even coming up with their own rhymes. Phrases such as chop chop, lollipop will help them hear patterns in words and begin to understand that word endings play an important role in rhymes. 3- First Day of School forms are a must. Not only will they serve its purpose in the beginning of the school year, but will also be very useful in your Sub Folder. 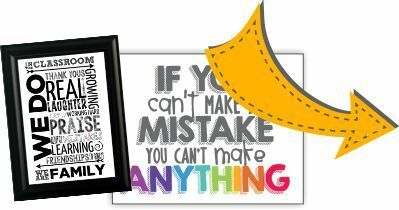 4- Here is a cover for your lesson plan binder. 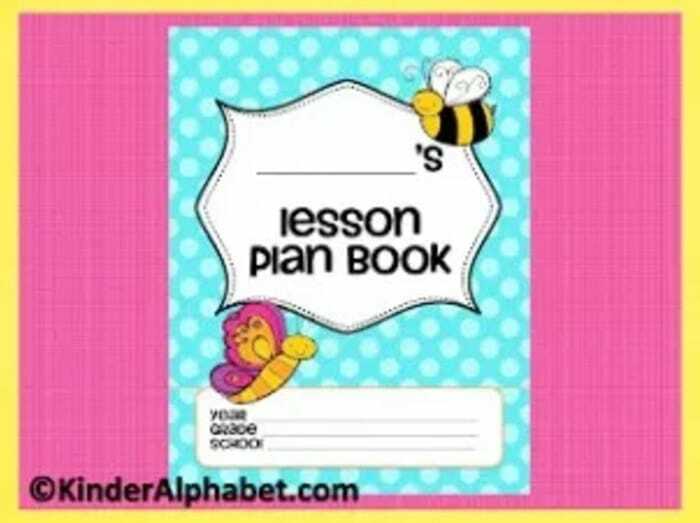 It will help you keep organized by being able to find your lesson plan book quickly at a glance. This is especially useful when an administrator walks in to visit your classroom. 5- We all use reading logs in our classrooms. Here is a simple template where the teacher or the student can circle the current month on the top of the form. This will help students and parents become responsible for daily reading assignments. 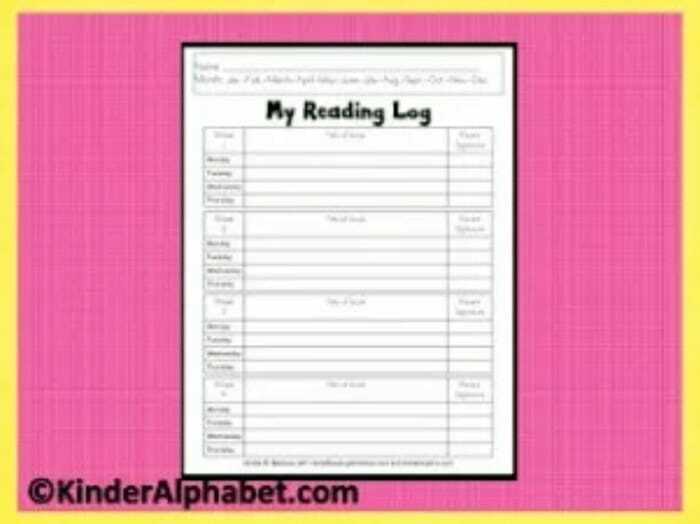 This is a reading log that can be used for the entire month. 6- Finally, I wanted to remind you about my Kissing Hand book activity. The Kissing Hand is a wonderful book that you can read on the first week of school. 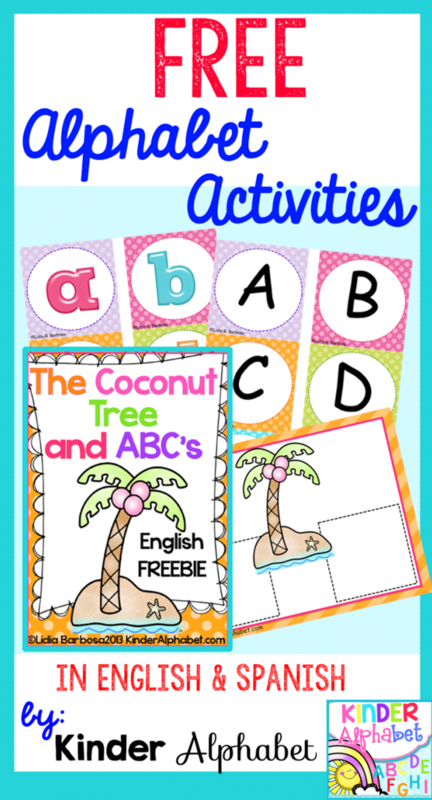 Students can complete each page of this booklet on separate days or on the same day. It all depends on the grade and ability level of your students. I hope that you have a wonderful year and that you find these Back to School activities useful.